Although labeled a “cultural revolution”, the unhealthy obsession with fame that is now bred into the vast majority of children and youths is actually more a powerful political tool for the continued and unchallenged repression of the lower socio-economic classes. Erik Gandini’s documentary film Videocracy (2009) reveals the rise and shame of an appallingly strong “media oppression” in Italy. Though the notion is not exactly “news”, the film successfully communicates an aptly bleak and depressing picture – not so much of “the power of television”, but rather of the power of the social and political elite. There is an entire generation who believe that the greatest achievement in life is fame and furthermore that being seen on television is a form of validation because it means others will “remember” you – rendering you (in a manner of speaking) “immortal”. Belief in this ludicrous notion is what continues to keep those of low social-economic standing repressed, something the likes of Silvio Berlusconi and Lele Mora know all too well. 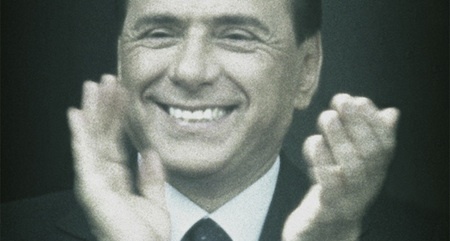 Berlusconi, the current Prime Minister of Italy, also owns 90% of Italian television media, a devastating conflict of interests, but one that helps to successfully breed the controlled climate that produces such questions from “average citizens” like, “Why should I have to be a mechanic all my life?” By giving the masses an “aspiration” of this kind, those in power distract and mask the corruption within the political system, focussing the masses on achieving within it rather than challenging it. Filled with a plethora of dirty facts such as “the minister for gender equality was a former showgirl”; and a ream of baffling ideologies; “I’m like Robin Hood, I rob from the rich, but instead of giving to the poor, I give to myself”; Videocracy is an important and blunt reminder that we are far from “free”.